There is a special uniqueness about Sedona. The natural beauty, the majestic mountains–whatever it is, there is definitely a magical essence here. It is said that ancient winds blow rose-colored sand grains into the surrounding mesas sculpting magnificent monuments of timeless crimson beauty. 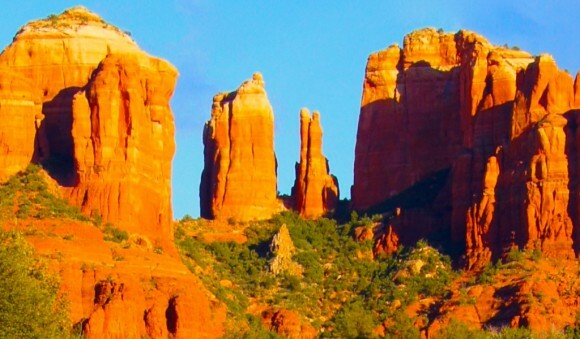 Read more about low cost and free activities in Sedona by clicking here for an article on RV Short Stops. 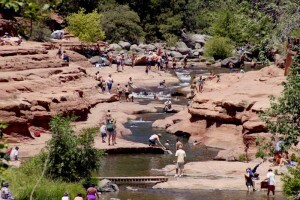 Dead Horse Ranch State Park is “a beautiful park located in the Riparian area of the Verde Valley,” about 19 miles south of Sedona in Cottonwood, Ariz. 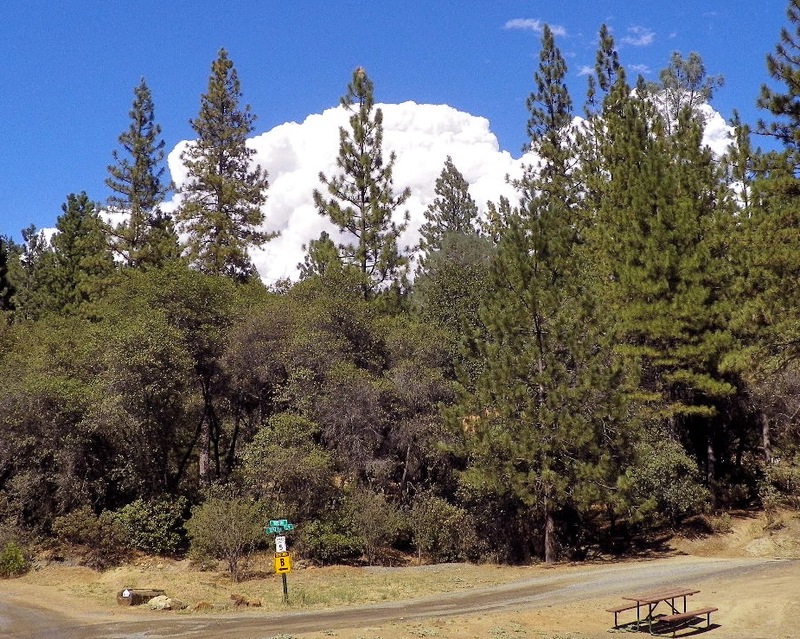 The developed portion of the park covers 423 acres. 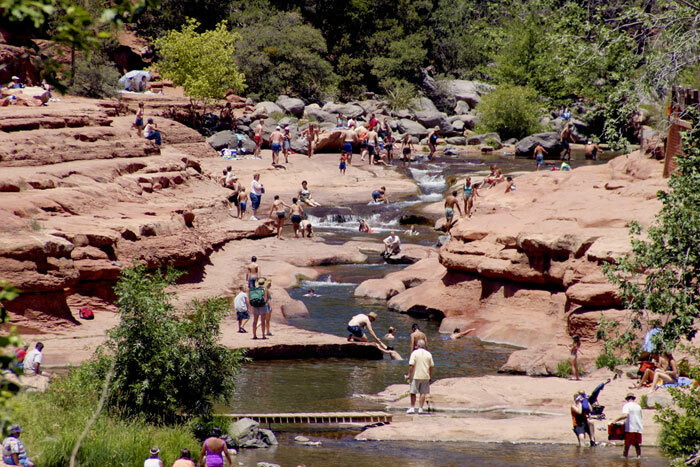 The 3,300 foot elevation accounts for the mild temperatures that are ideal for camping, mountain biking in the Coconino National Forest, hiking along the Verde River, canoeing, picnicking, fishing, or just wading in the cool water. Camping Fees: Non-Electric/tent site: $20; Electric: Red Tail: $30; Cooper’s Hawk: $30; Quail Loop: $35. 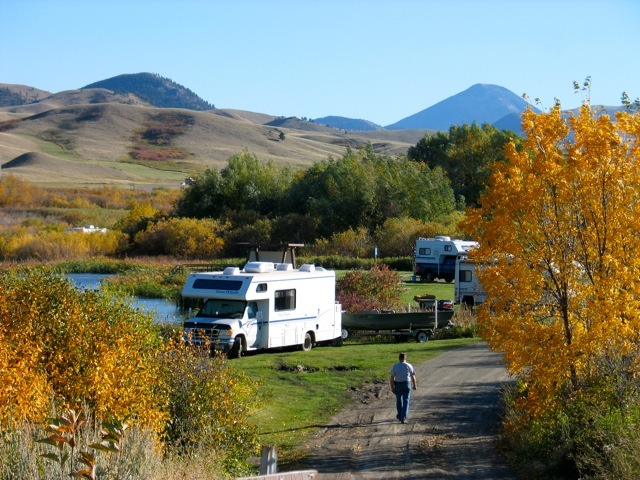 For online reservations click on Dead Horse Ranch State Park. Location: 675 Dead Horse Ranch Rd., Cottonwood, AZ 86326. 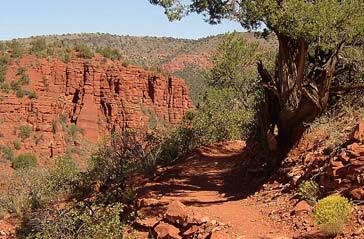 Location: Oak Creek Canyon, seven miles north of Sedona. 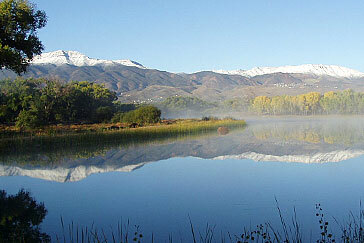 Red Rock State Park, a “286 acre nature preserve and environmental education center with stunning scenery. Trails throughout the park wind through manzanita and juniper to reach the rich banks of Oak Creek. Green meadows are framed by native vegetation and hills of red rock. Hours: 7 days a week from 8 a.m. – 5 p.m. Last entry at 4:30 p.m. The Visitor Center is open 9 a.m. – 4:30 p.m. daily. Photos: (Top) Cathedral Rock is a famous landmark on the Sedona, Arizona skyline, and is one of the most-photographed sights in Arizona. (Bottom three) State parks courtesy of Arizona State Parks.